and I've made a card for little Toby who is now 4 - what a big boy! I went for fairly bright colours and a cute teddy stamp by Lili of the Valley. He probably would have preferred a car but hey ho! 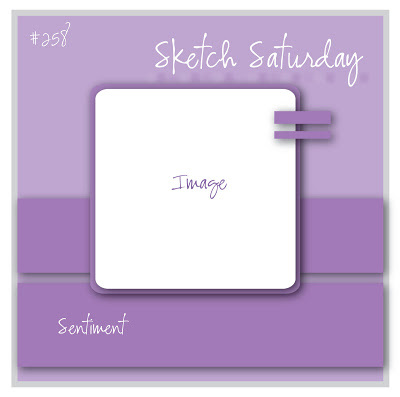 This weeks challenge is sponsored by Simon Says Stamp who have got a great prize on offer so make sure you pop over to Sketch Saturday to join in!